During the Cold War, we understood each other’s signals. We talked. I’m concerned that we don’t know them as well today. ….I personally think communication is a very important part of deterrence. So, I think we should have more communication with Russia. It would ensure that we understand each other and why we are doing what we’re doing. It’s very difficult for us to have normal relationships with a country that has not behaved normally over the last few years. There are major issues that affect our bilateral relationship that have to be addressed, to include where Russia has violated international laws, norms and standards. Someone from Washington citing Russia’s violation of international law as a justification for cutting or minimizing critical communication. Let’s see, considering that the U.S. invaded Iraq in violation of international law and has been conducting military operations in Syria in violation of international law (it wasn’t authorized by the UN or invited in by the internationally recognized government of Syria, although Russia was) – well, I’ve had fudge that ain’t that rich. Maybe they’re talking about Crimea – oh wait, there was Kosovo which didn’t even have a referendum. Hmmm….. I do like the idea of international law, but Washington isn’t in any moral position to advocate for it when it has made clear by its own actions that it holds international law in contempt when it is an obstacle to what it wants to do. And no one else on the world stage that is capable of acting independently is going to take such arguments seriously by Washington either. Wouldn’t it be nice if the journalist from the AP would have brought up this inconsistency to General Dunford or at least reminded readers of it in the article? Maybe they could have also reminded Dunford that the U.S. has allied with all kinds of unsavory characters since WWII who have violated international law, like the leaders of Israel and General Suharto of Indonesia. You know, just throw caution to the wind for a moment and conduct a true act of journalism, just for the experience. An official from the Russian foreign ministry was quoted in the AP article as reiterating Moscow’s readiness to engage in dialogue to reduce risks. The next day, the Moscow Times reported that Deputy Foreign Minister Alexander Grushko, who also served as Moscow’s permanent representative to NATO between 2012 and 2018, publicly acknowledged that Russia had ceased all cooperation with the U.S.-led alliance. Call your senators and tell them to oppose this nonsense right out of the gate. You can reach your senators by calling 202-224-3121. Ask the operator to connect you to the individual office. Thanks. An affidavit from the United States Justice Department’s prosecution of WikiLeaks editor-in-chief Julian Assange shows prosecutors are focused on criminalizing the publication of the Iraq and Afghanistan War Logs. The focus on the publication of the Iraq and Afghanistan War Logs is baselessly linked to an alleged “password cracking agreement” that prosecutors believe existed between Assange and Pfc. Chelsea Manning, who disclosed over a half million documents to WikiLeaks. 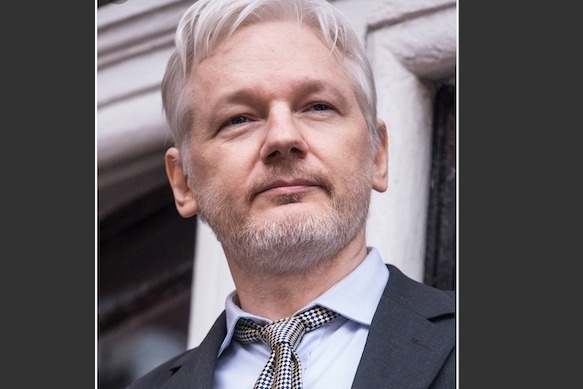 ….FBI Special Agent Megan Brown, who was assigned to the “counterespionage squad” at the Washington Field Office in the District of Columbia, was tasked with sifting through information to compile the “basis” for a case against Assange. It is also being reported that additional charges are likely to be added by the U.S. government – which is predictably keeping the legal process under wraps as much as possible, stating that documents filed will be redacted. This is expected by many to lengthen the extradition process in the UK which is theoretically opposed to the adding of charges after the initial request by the country seeking extradition. However, a recent article by Reese Ehrlich reveals a few different factors that could complicate the process, some of which could favor Assange and some of which would not. If the extradition is not carried out by the time of elections for prime minister in the UK, then a Jeremy Corbyn victory might very well see a blocking of the extradition. However, if Assange is ordered to be extradited, no one in the executive branch blocks it, and the UK leaves the EU before his appeal could be brought before the European Court of Human Rights, then the UK would not be bound by any favorable decision that could arise from that court. Legal experts that Ehrlich spoke to for his article were split on what kind of chance Assange had of getting a fair legal shake in either the UK or the U.S.
Read Ehrlich’s complete article here. The following is a message from my friend and mentor Sharon Tennison, co-founder and head of Center for Citizen Initiatives. Sharon has been leading delegations of U.S. citizens to Russia since the 1980’s. She has an extensive network of Russian friends and colleagues all over the country and escorted me on my very first trip to the country in 2015. …. In my 35 years of traveling throughout Russia, I have never before witnessed such a vast gap between what the average American ‘believes’ about Russia and Russia’s reality on the ground today. CCI’s earlier Russia travelers describe their trips as life-changing … possibly because there’s nothing so relieving as “traveling to meet the enemy” and finding no enemies on arrival. We find differences, yes, different histories, different cultural norms and many other differences, but when understood, none of these are destructive to Americans. Citizen diplomacy is finally being discussed as a viable pursuit by officials in the U.S. and in Russia today. THIS IS NEW. No doubt this is due to failed official diplomacy and nuclear treaties being scrapped in the very recent past. The current situation is extremely dangerous since we and Russia have nuclear weapons on high alert and ready to fire at each other. One accidental launch of a missile could bring a volley of returning missiles that would destroy both countries and likely the world within a short time. How can our military brass, congress members and media talk so glibly about nuclear war? It’s horrifying! How to pull our countries back from the brink of nuclear war? Let us educate ourselves ASAP regarding Russia with our own eyes and ears. Let us ask questions, listen, ponder … and educate others as rapidly as possible…. Consider traveling with us on this “one-of-a-kind” trip. It will be CCI’s most intensive diplomacy effort ever. Travelers will meet with and question a dozen Russian Experts in Moscow including Mikhail Gorbachev and Vladimir Pozner. The meetings are usually two-hour sessions. Our two videographers will capture the Expert meetings and much of the entire trip. Following Moscow meetings, we travel in triads to 30 regional cities to explore average Russian citizens’ interests, their thoughts and concerns, and how they carry out their lives far from the centers of power. We will share similar topics with them. Following these visits we reconvene in St. Petersburg where we will spend the first full day listening to and learning from fellow travelers’ experiences in their regional cities. YouTube videos, articles and stats will result from this data dump. 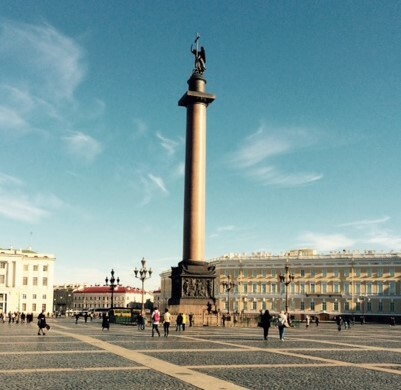 With our important work completed, we will enjoy St. Petersburg’s unparalleled classical culture and meet with numerous CCI alumni from our former business management training programs. During these and regional traveling days we will have had face-to-face discussions with thousands of Russians across 10 time zones. We need more Americans to travel on this CCI fact-finding diplomatic mission…. For more trip details please email us. Many thanks! Click here to see CCI’s official trip flyer. Assange will be brought before a British magistrate regarding charges of jumping bail. There is also reportedly an extradition request by the U.S. on charges of conspiring with Chelsea Manning to hack into classified government computers. Supposedly, Washington has agreed to take the death penalty off the table. How generous of them. I have just spoken to one of Julians lawyers. Julian is likely to appear before a UK Magistrate within 24 hrs re (old defunct) “bail warrant” UK likely to seek max prison term of 12 months in higher court. Our focus is as always to STOP a U.S. Extradition! Let’s get to it! Lenin mostly lived abroad from 1900 to 1917 (Salisbury 1977). During the early years of this period he started a revolutionary journal called Spark and had begun using the surname he would become famous under (Krausz 2015). He, along with Plekhanov and Julius Martov – another Marxist – were the principal contributors to Spark. In 1903, an official split occurred during the Second Congress of the Russian Social Democratic Labor Party. This party had formed in 1898 to unite the revolutionary movement in Russia. The split resulted in the Bolsheviks (meaning “majority” in Russian) led by Lenin and the Mensheviks (meaning “minority” in Russian). Plekhanov would eventually side with the latter, headed by Martov (Cavendish 2003). The Mensheviks advocated a loosely-organized structure that could exercise the option of allying with the liberal bourgeois , while the Bolsheviks wanted a centrally controlled and disciplined conspiratorial organization of full-time revolutionaries. The Bolshevik wing represented the ideas for spreading Marxism and inciting revolution among the working class that had been laid out in Lenin’s 1902 pamphlet, What is to be Done? , borrowing the title of Chernyshevsky’s novel. A fight over the editorial board of Spark also ensued which the Mensheviks lost, leaving Lenin in virtual control of the publication. However, the organization’s Foreign League convened a meeting in Geneva a few months later in which the Mensheviks prevailed and Lenin announced his resignation from Spark and the organization’s party council (Cavendish 2003). This only turned out to be a minor setback for Lenin who became noted among the intelligentsia for his knowledge of economic thought. In 1904, he started another journal, Forward. He also wrote an acclaimed book called The Development of Capitalism in Russia which was in a second print run by 1905 (Krausz 2015). Around this time, colleagues observed an increasing ideological rigidity and intolerance in Lenin. He had acquired the tactics of ignoring and insulting rather than refuting the arguments of other revolutionaries with whom he disagreed. This was not unknown in the revolutionary movement but it marked a transition toward behavior that was antithetical to those he was taught growing up. Moreover, he began acting more on the Machiavellian approach that had gained a foothold within the more extreme strands of the movement, rationalizing the use of individuals who engaged in dishonest and/or criminal behavior as long as it was perceived to be facilitating the goal of revolution (Salisbury 1974). Soon after the October Manifesto was issued after the 1905 revolution, Lenin returned to St. Petersburg. He had raised the issue of armed resistance publicly for the first time just prior to his return to Russia and continued a period of prolific writing. In May of 1906, he made his first speech in front of a mass rally in St. Petersburg, billed as a “leader of the Bolsheviks” – though he’d only just begun a meaningful association with the organized Russian Bolsheviks a few months before. He wouldn’t make another appearance at a mass meeting until 1917. Due to police pressure in response to his increased organizing activities, he left Russia for Europe again in December of 1907 (Krausz 2015), not to return again until 1917 (Deutscher 1964). “The Mensheviks: George Plekhanov” by Isaac Deutscher. The Listener. 4/30/1964. 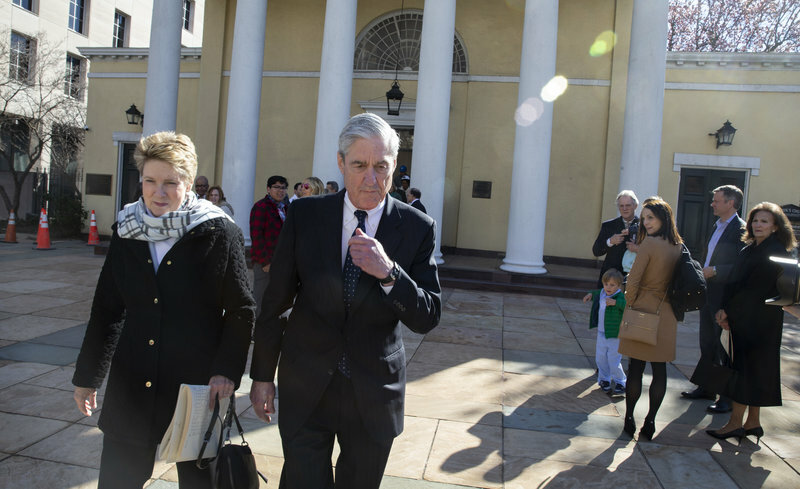 According to a Harvard/Harris poll, a majority (64%) of Americans accept the conclusion of the Mueller report that the Trump campaign/administration did not collude with Russia to interfere with the 2016 election. 68% of respondents think the Democrats should also accept the conclusion and move on. Amen. Meanwhile, in celebration of NATO’s 70th anniversary this year, Secretary General Jens Stoltenberg was invited to address a joint session of the House and Senate today. Stoltenberg spoke for 40 minutes (video embedded below). He started his speech by stating that the founders of NATO had lived through two devastating world wars. This is ironic because in researching WWI for my work-in-progress, it stands out how – even though all the major players who went to war in 1917 had long-standing tensions – it was the entanglement of alliances that prompted the greatest death and destruction then known to man (16 million deaths) after an assassination in a small nation provided the spark. NATO Secretary General Jens Stoltenberg address a joint session of Congress on April 3, 2019. With 29 members, including many small nations who were formerly part of the Soviet Union and have varying degrees of historical axes to grind with Russia, NATO has turned itself from an alliance meant to prevent the now-dead Soviet Union from exercising any expansionist ambitions its leaders may or may not have had in the rest of Europe into an alliance that could precipitate a similar conflict as we saw in WWI. With Article V obligating all members of NATO to fight if any member is attacked, could a provocative act in, say, Lithuania be the spark that starts another world war? In an age of nuclear weapons, might NATO’s continued expansion right up to Russia’s borders and courting of nations whose political elites have an interest in continuing to use Russophobia as a diversion for their lack of implementing solutions to the many domestic problems they face be unwise? Might it even provoke the very thing its supporters claim it exists to prevent, a devastating war? He goes on to claim that NATO has been a force for peace. He clearly hasn’t asked the citizens of Serbia, Afghanistan, and Libya what they think of this assertion. He also didn’t hesitate to repeat debunked or unproven allegations against Russia: use of a nerve agent in the UK, that it had attacked power grids and interfered in elections in Europe (France and Germany’s own governments came out and refuted these accusations). Stoltenberg also claims that NATO has been striving to have a better relationship with Russia. But he doesn’t give a single example of NATO doing this. Probably because there isn’t one. He also repeats the allegation that Russia was violating the INF Treaty before Washington abrogated it, though this was never proven. He also fails to mention some important context to the controversy over INF Treaty violations as the U.S./NATO has had Aegis-ashore missile systems in Romania since 2016 and has had plans to place them in Poland for years, which effectively violates the treaty as MIT professor Theodore Postol has explained. It has also been recently reported that the U.S. has been designing other missiles that would be in violation of the treaty since 2017. So Washington and NATO are not the innocent victims in the INF Treaty controversy that they are claiming to be. The congressional speech was just the last leg of the Secretary General’s big PR blitz over the past couple of weeks leading up to NATO’s 70th anniversary tomorrow. & honoured to meet veterans & serving soldiers. Georgia is a unique partner for #NATO & we are stepping up our cooperation. In spite of the reverence with which the alliance is often treated by Washington, the media establishment and the political elites of various nations near Russia that think NATO represents the cat’s pajamas in terms of security, there are some indications that perhaps NATO isn’t all that. NATO members are less committed to the alliance than they used to be because most worry less about conventional military attacks from Russia. 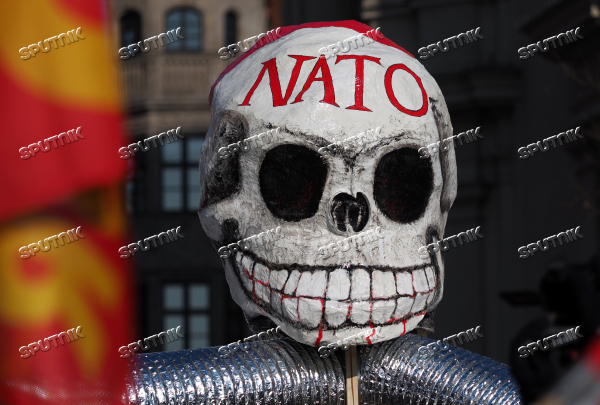 … Countries with the misfortune to be neighbors of Russia are still enthusiastic about NATO. But the anti-Russian zeal of Poland and the Baltic states is something of an embarrassment for Germans eager to cut Nord Stream 2-type deals with Moscow over the heads of their mostly small, poor and importunate eastern neighbors. He goes on to point out that Russia and China are taking note of these developments and will be waiting to parlay any disillusionment by members of the alliance to their geopolitical advantage. Veteran investigative journalist Gareth Porter pours his own bucket of cold water on NATO with his recent article in Al Jazeera. Porter reports that the alliance – looking for a purpose so it could stay alive after the Cold War ended – persuaded the Bush II administration to let it take the lead in the Afghan war, believing it could show its continued worth while expanding its geographical mandate. But the move backfired. The Supreme Allied Commander for Europe at the time, James Jones, pitched the idea to Defense Secretary Donald Rumsfeld between 2003 and 2005 as the solution to the administration’s desire to focus their military action on Iraq. “Jones sold [Defence Secretary Donald] Rumsfeld on turning Afghanistan over to NATO,” said the officer, adding that he did so with the full support of Pentagon officials with responsibilities for NATO. 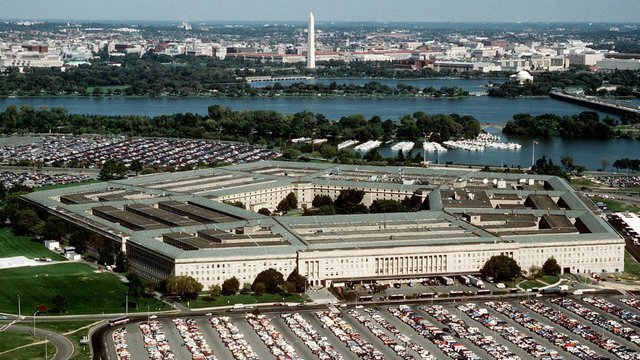 “You have to understand that the NATO lobbyists are very prominent in the Pentagon – both in the Office of the Secretary of Defence and on the Joint Staff,” said the officer. In order to address the concerns of NATO members whose populations were opposed to an actual combat mission in Afghanistan, Jones convinced them that only “mop up” and nation-building operations would be needed as the Taliban were no longer a significant military threat – even though US intelligence realized that the Taliban was rallying and troops would likely be facing a new insurgency in the south. Of course, it didn’t take long for the NATO members who agreed to this to realize they were being hornswoggled. But conflicts immediately arose between the US and NATO member countries over the NATO mission in Afghanistan. Britain, Germany, Canada and the Netherlands had all sold the NATO mission to their publics as “peacekeeping” or “reconstruction” as distinct from counterinsurgency war. When the Bush administration sought to merge the US and NATO commands in Afghanistan, key allies pushed back, arguing the two commands had different missions. The French, meanwhile, were convinced the Bush administration was using NATO troops to fill the gap left by shifting US troops from Afghanistan to Iraq – a war they strongly opposed. Eventually, NATO member countries laid down limitations on their participation as the Taliban increased their attacks and improved their position. Later, General Karl Eikenberry – commander of US troops in Afghanistan in 2005 – and then-ambassador to Afghanistan Ronald E. Neumann admitted that NATO’s involvement in the war was to prop up the alliance. One former commander of NATO forces in Afghanistan, Canadian Rick Hillier, stated that NATO’s performance in the country was “abysmal” and lacked strategy. As a result, he claims, the alliance has lost credibility among many of its members. So if NATO’s military performance against a technologically unsophisticated foe like the Taliban leaves something to be desired, how effective would it be in facing a far larger and more advanced opponent like Russia? One is left to wonder if NATO serves any meaningful purpose other than being a self-perpetuating bureaucracy that keeps the profits rolling in for the merchants of death while allowing its members to puff themselves up. Simultaneously it is also a dangerous irritant or even a provocation for the nuclear-armed countries which it is aimed at – countries that various NATO members already have long and complicated tensions with. While Stoltenberg pays lip service to the death and destruction of WWI – which laid the groundwork for the even more devastating WWII – it is clear that he and his ideological fellow travelers, including members of congress who clap like trained seals at every self-serving platitude uttered by a military leader on their team, have learned nothing from it. Sharmini Peries Interviews Peter Kuznick and Pietro Shakarian on the Real News Network. By 1895, Lenin had been exiled to Siberia for a year but was afforded enough freedom to continue his research and writing on revolution and even communication with other revolutionaries. Upon his release, he visited Europe where he made many significant contacts but most importantly, he met G.V. Plekhanov (Krausz 2015). Plekhanov was a former Populist who became one of the most well-known Marxists in Russia. He made considerable headway in getting Marxist socialism accepted as a meaningful alternative to Populism. He advocated land redistribution and opposed the tactics of Narodnaya Volya, arguing that terrorism served as a pointless catalyst toward increased government repression (Billington 1970). Instead of issuing invectives at his philosophical opponents in the revolutionary movement, as was the common practice of the time, Plekhanov relied on the art of persuasion. He acknowledged the Populists’ desire to mix with the masses and work on behalf of their hoped-for political awakening, while explaining the practical shortcomings of this approach. As a Marxist, Plekhanov was a strict materialist who believed in the possibility of “absolute objectivity.” This undeniable objectivity would supposedly resolve the perennial tendency within the revolutionary movement toward splintering. Furthermore, unlike many other theorists, by 1884 Plekhanov was arguing that Russia was already in a condition of capitalism, albeit in the form of state capitalism. He saw this as evidence of the inevitability of a revolutionary clash between the social classes within Russia and the eventual triumph of the proletariat (Billington 1970). 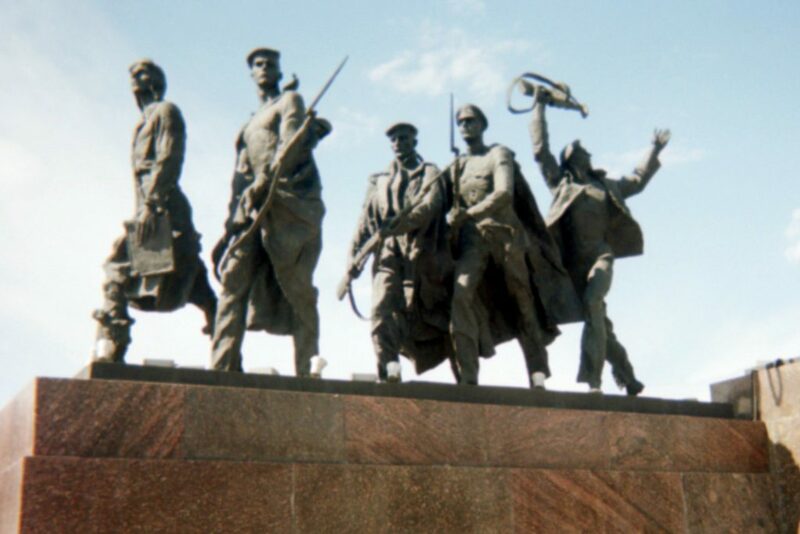 By this time, Plekhanov saw the peasant commune, held up as proof of a socialist legacy in Russia and a foundation for socialist revolution by the Populists, as falling apart. As it turns out, Russia was not so unique that it could bypass the industrial capitalist stage on its road to socialist revolution. He saw an emerging bourgeois class as playing a major role in revolution and advocated fighting alongside the liberal bourgeois and opposing them after the revolution, if necessary (Deutsch 1964). Plekhanov would go on to have a complicated relationship with Lenin, whom he saw as a protégé and one who could ultimately execute his ideas (Deutscher 1964). It was later generally recognized that Lenin’s overarching talent was indeed his ability to marry revolutionary political theory and practice. Krausz, Tamas. Reconstructing Lenin: An Intellectual Biography. Monthly Review Press. New York, NY. 2015. Billington, James. The Icon and the Axe: An Interpretive History of Russian Culture. Vintage Books. New York, NY. 1970.